AMBER Alert is not a term most people like to hear, but a term we all know well. The AMBER Alert was created in 1996 when Dallas broadcasters partnered with local police to create a warning system that notified the public about missing children. Since its inception, the system has helped in the recoveries of 728 children, according to the AMBER Alert government page. 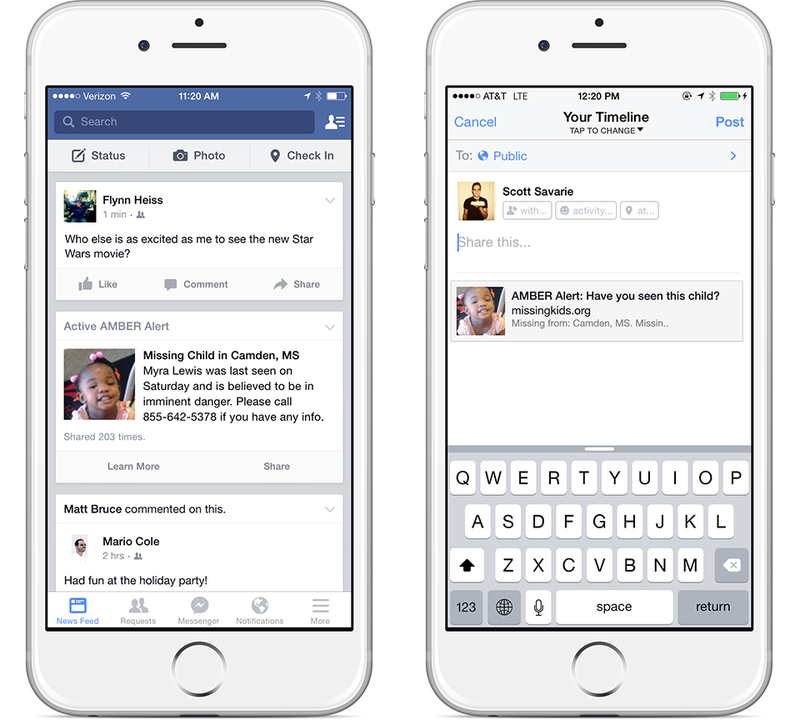 Since we are in the digital age, it is only fitting for the National Center for Missing and Exploited Children (NCMEC) and Facebook to collaborate and bring AMBER Alerts to mobile Facebook users. You may already know that AMBER Alerts are sent to your phone automatically through a text message. 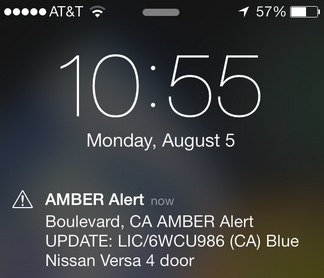 Using Facebook to send the alerts allows users to see a photo of the child, along with a possible vehicle description and other important information. Facebook users are now able to share the posting with their friends–a better system than text messages, where we receive is only a few words. This gives people the visual aid that could help find more children in the future. You won’t see the AMBER Alert unless it is in your area; sometimes you might not see one at all. It all depends on the targeted area for the alert. In 2014, an 11-year-old girl was abducted but was fortunately recovered when a motel clerk recognized the girl from a Facebook post seen on the clerk’s timeline. This story led the NCMEC to see more value in Facebook sharing than Twitter retweeting. According to Forbes, Facebook had nearly 1.3 billion active monthly users in 2014, compared to Twitter’s 271 million active monthly users. In general, people tend to use Facebook a lot more than Twitter, however, 86 percent of time is spent on Twitter’s mobile application, whereas 68 percent of time is spent on the Facebook application. Despite these statistics, the NCMEC found it fitting to have the AMBER Alerts on Facebook. Considering the AMBER Alert system has worked for nearly 20 years, Facebook and the NCMEC have high hopes that this new system will help bring more children home to their families. Do you think AMBER alerts being used on Facebook will be an effective way to notify the public about missing children? Let us know, and connect with Innovative PR on Facebook, Twitter and Instagram.